Baz Bus helps build a house as part of Mandela Day celebrations. 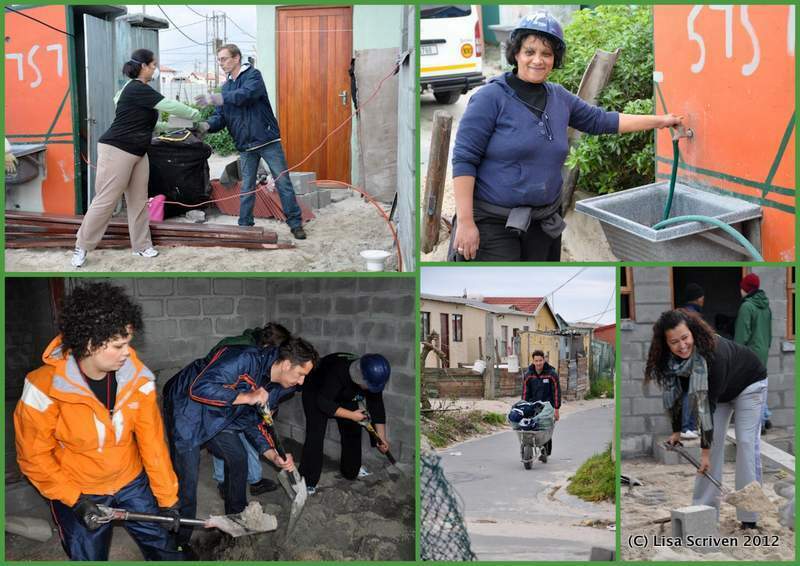 Baz Bus was given a very exciting opportunity to participate in Habitat for Humanity’s blitz build as part of our Mandela Day celebrations! 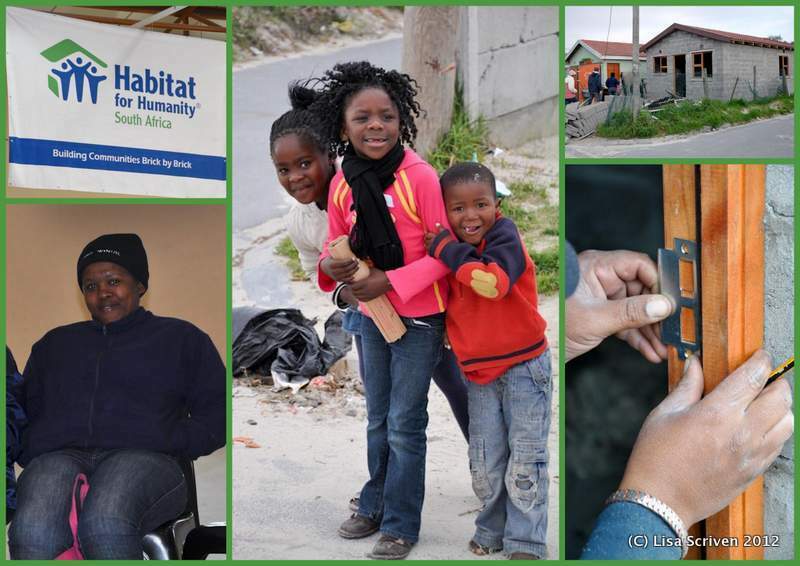 This International Mandela week build took place from the 16-21 July 2012. Baz Bus was invited to take part on day 5.The house was situated in Mfuleni township. The main tasks to finish the house was building a stoep, filling the gap between the house and the roof, putting up the doors and windows, varnishing the doors, the clean up and the most exciting part handing the keys over to the new home owners. We were briefed by the team from Habitat for Humanity early Friday morning with the main task being to finish off the new home. Monica our group leader taught us our motivational chant for the day. It went like this “Daga, Daga, Daga”,we replied “Gooi, Gooi,Gooi” then Monica went on “Spyker, Spyker, Spyker” we repeated “Hammer, Hammer, Hammer”. Habitat- Hoo haa. I think we woke up the whole community, we shouted this chant at the top of our voices. In English it means throw the daga (cement mixed with sand), take the nails and hammer it down. It was lots of fun. We were pressed for time with dark clouds creeping over our heads, we had to get as much done before the rain came down. It did rain eventually and we were given the township raincoats AKA a black bag. I can’t believe how much work goes into building a house. After tea time the rain went away, this was perfect timing to get the house cleaned up and ready for the new home owners.